Outfit: self-made and Hand sewn; Shoes: Forever 21; Bangles: Flea Market; Ring: Self Made; Bracelet: Made by a friend. Both of which I normally do, but when it comes to shaving off my head [which I have wanted to try since I was 11] I still haven’t had the guts to do. I will someday [I have promised myself that] just don’t know when. The Ying Yang is a great touch to the shaved head. It’s like a dynamic tattoo cause it changes shapes and sizes as the hair grows and is also easily changeable with a few weeks notice. What a cool concept!! This is the epitome of cool. Wow, she is rad! I love those colors. I like how she's accessorized her outfit -- it's perfect because it feels understated and elegant and really shows off her dress. I thought it was a man in the first pic. I had a similar ring(talking about the black one),but I always had to take it off,when I was washing my hands. The point is... she's cool. Wow Prutha, that is one hell of a shot. She is super-cool. 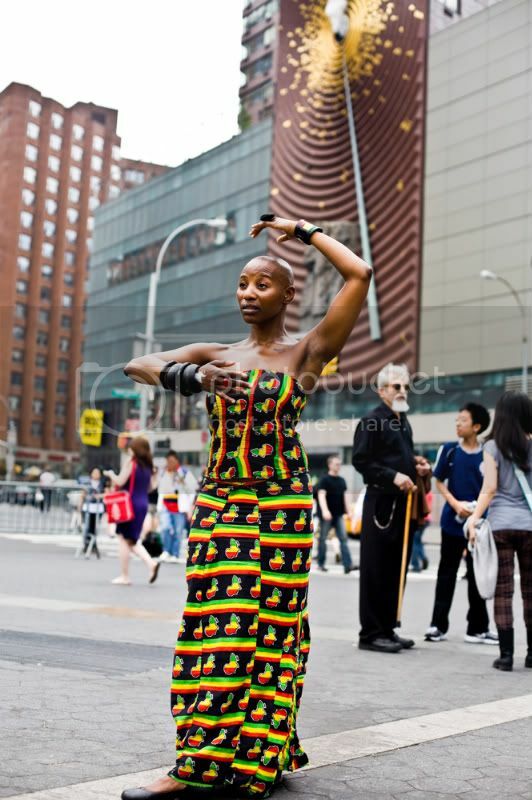 Best thing about her: the combination of ethnic / urban elements, that do fit very well together. Beautiful and graceful woman. Fantastic image. Wow! I appreciate anyone who has such a free spirit. Most of us secretly aspire to have but do not have the guts! I too love your street style posts! I guess living in NYC gives an insight into lot of interesting people. Yesterday I saw a man with a cardboard hanging on this body. It read - Why do rich people look like they are miserable to be alive and he was wearing funky clothes and interesting clothes. I was so mad at myself for not having my camera on me then! :) Ahh! What a long story in your comments. hehe...tanvi, pls keep the stories coming... i love them!!! 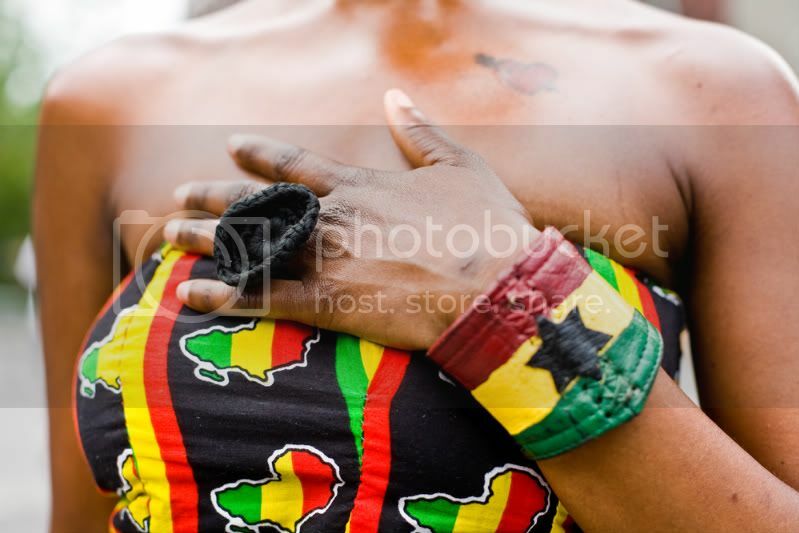 Thats one proud african woman!! 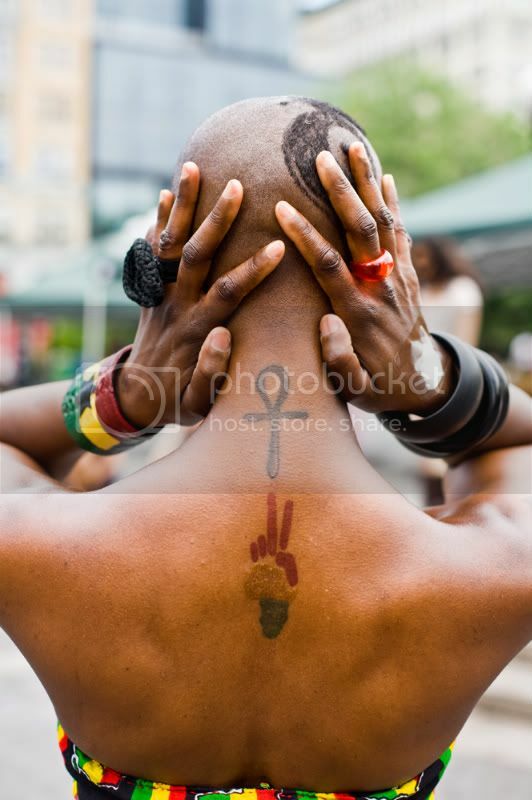 Love her ankh tattoo... You know goin Bald is Such a crazy experience specially for us Indian girls.. like hair is your treasure and stuff right!? I went bald like 4 years back in middle of college... damn its the most Liberating experience.. I mean you feel really stupid sometimes but most of the time totally badass. people look at you differently. you look at yourself differently. it was a special priceless feeling for me. so bold. her accessories are perfect for her dress. 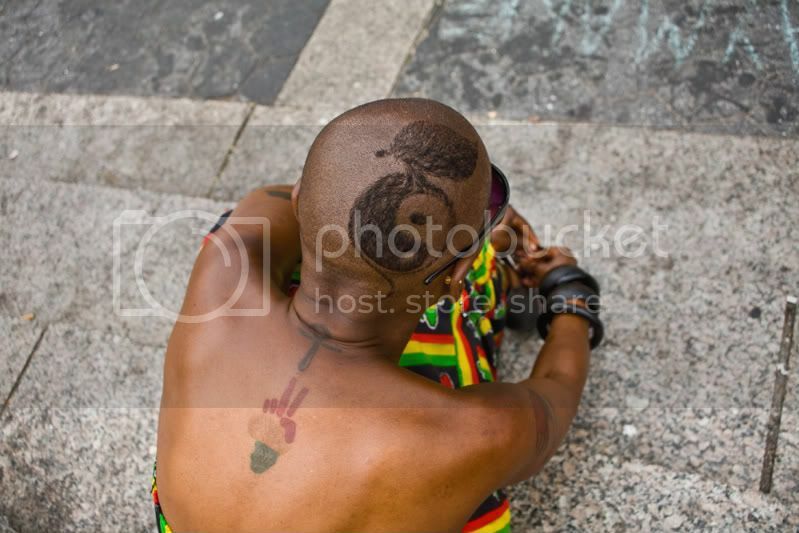 ive never gone bald and dont know if i could pull it off but i find the women who do always look gorgeous. The ring is to die for...I have to make one like it. I also love the 2 points...following one's heart and not to care what other people think. In my head I know and feel all that...but when it comes to real life...sometimes I struggle big time...Do you know what I mean? this is intense... but fabulous! nice one.